We are so appreciative of our friends who so generously filled our bellies with this wonderful dish. There is really something special about receiving food gifts! Thank you!! There were fresh zucchini and eggplant in a rich tomato sauce for the casserole. The cook tells me he baked the eggplant first until it started to shrivel. 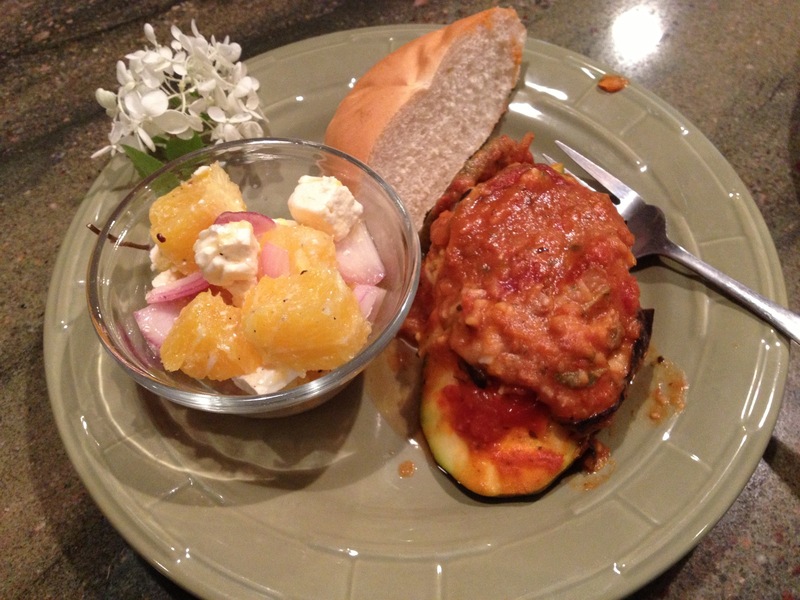 He then created the casserole with layers of sauce (thickened with pureed chick peas), eggplant and zucchini. It was creamy and flavorful. The salad was a delicious combination of oranges, feta (I know, not vegan), and red onion with a light vinaigrette.